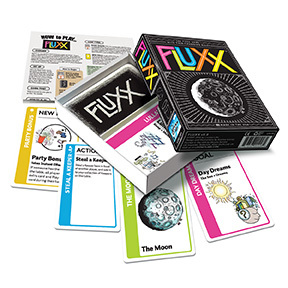 Fluxx Review: The Mega Wombo Combo! Fluxx Blanxx: Make your own cards with these template cards! 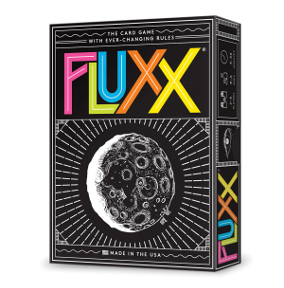 Future Pack: Seven new cards for Regular Show Fluxx – from the future! What's new in Fluxx Version 5? What's new in Fluxx Version 4? What's new in Fluxx Version 3? Press Release: Fluxx wins Mensa Award! Team Fluxx - a high school robotics team! Answers With Alison - "Little Answers"